Tippets There are 7 products. 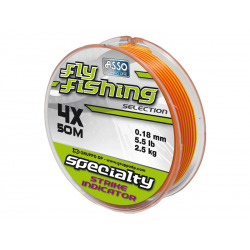 The highest quality fluorocarbon covered monofilament tippet line. 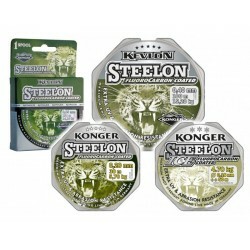 You will like it also its price. 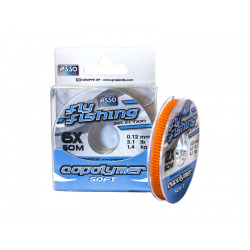 Asso Fly Fishing Copolymer Soft is a double strength tippet material made of the highest grade fluorocarbon coated copolymer. 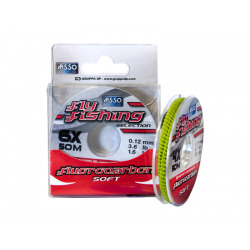 As strong and soft as nylon, Asso Fly Fishing Fluorocarbon Soft is a high tenacity line, yet at the same time extremely smooth. Asso Fly Fishing Strike Indicator is specifically developed for European nymph style. The main emphasis when tuning STROFT ABR is attaining the line’s resistance to wear and abrasion. The abbreviation ABR stands for abrasion resistance. 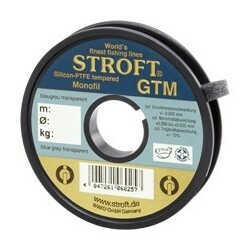 Achieving the same breaking strain as STROFT GTM is a further tuning objective. STROFT FC1 is the fishing line that came up with the highest breaking strain ever achieved with 100% fluorocarbon. Particular focus is laid on the line’s knot strength which is fine tuned for each individual diameter.